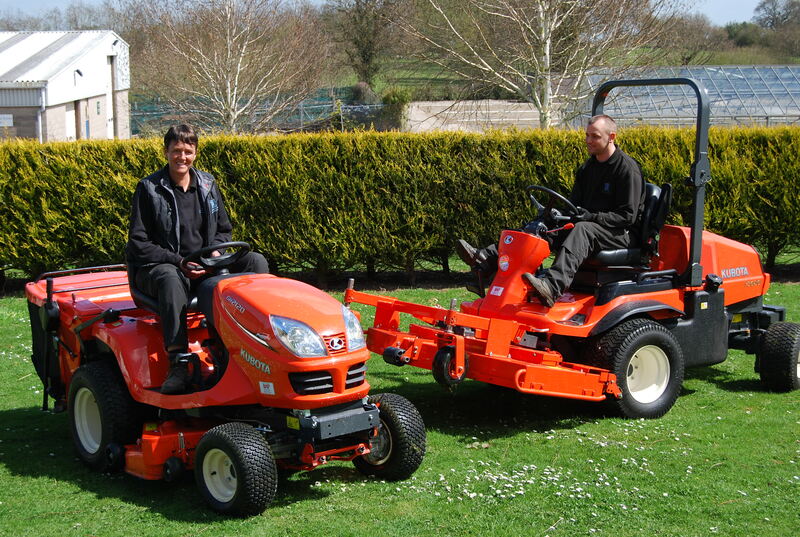 Kubota’s F3680 ride-on mower, the most powerful out front mower in its class, has been enrolled at Northop College in Wales to help horticultural students get to grips with the latest in market leading groundcare machinery. Northop College, which was created in 2009 through a merger of Deeside College and the Welsh College of Horticulture, is one of the largest centres in the UK and Wales for horticultural studies. Jenny Jones, Grounds Officer at Northop College, commented: “For students to gain a complete understanding of their profession, it’s important they can combine theory with being able to try and test groundcare solutions. It’s therefore vital they have access to quality and reliable equipment. Featuring a 36hp engine and Auto-Assist 4WD, the F3680’s design allows it to offer maximum manoeuvrability, whilst being able to tackle the vigorous demands of the college grounds. As well as being used as a training aid for those undertaking horticultural courses, it will also to help maintain some of the 91 hectares (225 acres) of picturesque grounds that the college is set in, close to the North Wales Coast and overlooking the Dee Estuary. Jenny continues: “We have used Kubota over the years due to the reliability of their machinery. For the students and grounds staff, Kubota equipment is simple to use, extremely robust and easy to maintain, which is essential in a facility such as ours where they will be used for extended periods of time. “By learning on the best equipment, the students gain a realistic appreciation of the products available in their chosen industry and what they will be using in employment. As leaders in its field, Kubota is the perfect choice for our students to learn on and the company’s mowers play a large part in the college’s machinery inventory. One of the departments using the F3680 will be the Employer Engagement department, where students will learn Best Practice when it comes to using the equipment and assessing what machine best suits an application. The F3680 was supplied to the college by local dealers Major R Owen LTD. Monty Davis from the dealership, said: “The work that Northop College does in producing the next generation of horticulturists is essential to the survival of both industries within the UK. Since the first purchase with Kubota in 1991, the college has bought a number of machines from the company with many of them still being in use today. These include; Kubota 2850L, G23, 1550HST, GR2120 and Kubota’s B1410. For more information on Kubota and its extensive range of solutions for the construction, groundcare and agriculture sectors visit www.kubota.co.uk or call 01844 268000.